For the first 20 years of my life, I had no idea who I was. I only knew who I was trying to be. In 1999 I was the host of a TV pilot cleverly-titled ‘Hot Tub TV’. While promoting it, the producers convinced me to go to a hip nightclub with a fake entourage. The idea was that we would all get out of a limo and act super cool. We would pretend that we were “famous” and hope that we could trick people into believing we were important enough to get press and attention. I just wanted to be on TV. I badly wanted the Hollywood dream. I lost myself as I listened to anyone who promised me fame. “Tell me what to do. How to act. Who to be. I’ll do it.” I did whatever they asked. And… Hot Tub TV failed miserably. I ended up sacrificing my integrity for nothing. I decided that I would never do that again. 5 years later, I was asked to audition for a new NBC.com show called “Fears. Regrets. Desires.” Since I knew that “trying to play the part” didn’t work, I handled the Hollywood temptations very differently this time. I was amazed at the idea that I could be paid JUST FOR BEING MYSELF. I didn’t have to pretend, act, or put on a show for anyone. Sure, I still had to “work” but it no longer felt like a chore. I used to spend a ton of effort trying to pretend to be something I wasn’t. I realized that being me was MUCH easier and more rewarding than trying to play a part. I also discovered that by showing up in this way I became an example for others as well. Week after week, I share my truth and trust that it will lead me to where I am supposed to be. I’ve been asked to start companies, give keynotes, be on TV shows, give TEDx talks, be on a billboard, and even model for product packaging (why yes, that is me in the hair dye aisle). People seek out authenticity and respond powerfully. 40 million views and 1000 live broadcasts later, I’m still sharing the wisdom I’ve acquired along this path. I’m honored that this sharing has helped countless people recalibrate their lives. As a result, for years people have encouraged me to create an online training of some sort. So, rather than tell anyone what to do, I have merely shared the lessons of my journey, buffet style. I don’t advertise. I don’t sell anything. I don’t even tag my content. I just broadcast and trust that the people who need to hear will hear. I realized that I DO want to make massive world change. I want to give everyone I meet the tools to live from their authenticity and to play their part in the grand mystery. The reason I didn’t, was that I was afraid of taking a risk and actually creating a program. I didn’t know how to run a business. I didn’t know how to ask people to invest in this vision for themselves and for a greater world where people no longer have to hide who they are. These resistances were preventing me from helping people who struggle with the same things I’ve struggled with. The people who have been beaten or tricked into playing their societal roles — who feel they are living their lives by other people’s standards. The people who don’t know what they want to do in the world, or who may be afraid to share their gifts and let the whole world see who they really are. I was hiding from the people who needed me most. My humility was keeping myself and others from realizing our potential. My fear was stopping us from making a real difference. Creating a program was a huge opportunity for me to step further into my role as a leader and make massive world change. By sharing what I’ve learned, I can create a movement of people who are in love with their own lives, radically expressed, and living from their deepest passion. People who, by following their truth, BECOME the leaders the world aches for. I need to train an army of love warriors! The impact that we can make TOGETHER is so much more than I can make just by my shiny self. The world needs serious healing. I can’t do it alone. YOUR authentic expression is the medicine a sick world needs. So let’s get you to the place where you’re living from that place in your everyday life not just for your own happiness, but for the good of the world. In order to allow this program to paint the whole world pink, I’m going to need some people to come along on this journey with me, to invest themselves in this work, this program, and forge themselves into forces for transformation. Do you want to learn more? Are you ready to develop a deeper personal relationship together in order to catapult YOUR life to new heights, and serve the broader world in the process? I need the real you to show up here. 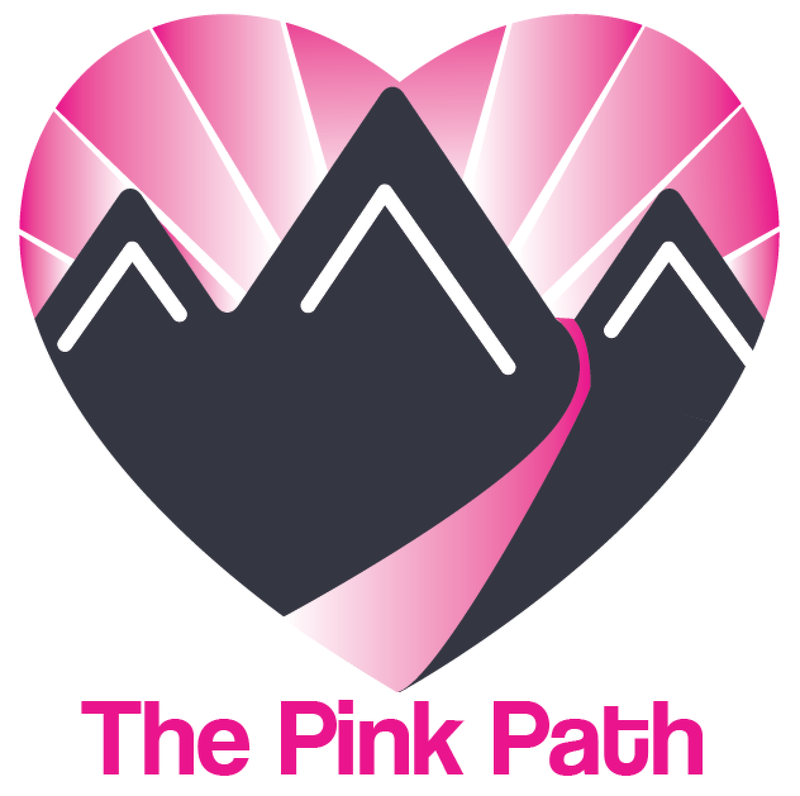 If you ARE ready, I have created an application for you to submit in order to be considered for the next round of The Pink Path starting January 2019. I will be conducting interviews to select those who are most committed and excited to embark on this journey with me. Life Artist. Pink Evangelist. Love Ambassador.